The Auto-Sleeper motorhome group, is part of the Trigano Group and has Auto-Sleeper dealers promoting new Auto-Sleeper motorhomes in the UK and Europe. Something, that has certainly added value to the Auto-Sleeper portfolio. Has been the introduction of the McLouis Fusion motorhome range. This is a fusion, of using 5 McLouis models, administered by Auto-Sleepers in the UK. With specialist McLouis Fusion motorhome dealers appointed, there are some great layouts for customers to see. All with a fixed bed arrangement and having great rear garage space. The Auto-Sleeper exclusive range comes about via the owners of Auto-Sleeper and McLouis Trigano Group. Italian made and with exceptional design and style. Find the world of motorhomes of excellence, with Auto Sleeper motorhomes campervans and van conversions. 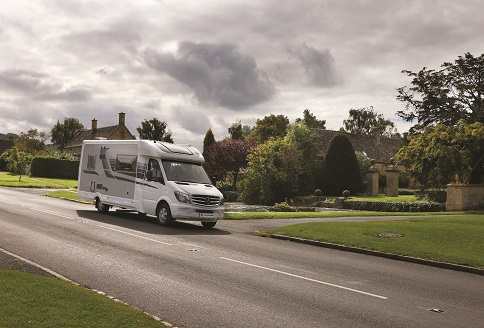 Dream, discover and enjoy motorhomes from one of the UK’s leading motorhome manufacturers. Established in 1961 and still going strong today. Start your adventure with an Auto Sleeper today and set out on that journey of a lifetime. Find Autosleeper motorhomes for sale and available to buy on our website and social media platforms. Follow Auto Sleeper in its quest for perfection in motorhome luxury! Our social media is all part of promoting motorhomes and campervans. Being fans of many different motorhome brands, we do take an interest in UK based motorhome manufacturers. Auto Sleeper Ltd and Auto Trail both in particular, are popular. Both being also, part of the Trigano Group. With Autosleepers being around for such a long time, it is always a delight to write about their Autosleeper models. Especially, those luxury Autosleeper Mercedes and the special van conversions. All Autosleeper motorhome dealers are listed on our website. With others taking the eye, such as, Baileys of Bristol and Elddis motorhomes. There are other like Luna and Tribute motorhomes. For an even wider choice, join our motorhomes campervans Facebook Group. If you are a motorhome or campervan owner and like reading about them. Then there is no better time to join our motorhomes campervan group. From deals to topical information we invite you to join in. Already in a group? No problems, bring your friends along and find out why we are growing our membership! 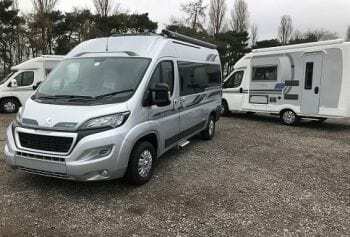 This page is dedicated to helping people find more information about Auto Sleeper motorhomes, campervans and van conversions. There are links to Auto Sleeper motorhome dealers and to the actual motorhome ranges. Videos explaining the history of Auto Sleepers , also show links to the new social media pages. Also, on YouTube there are individual models to see. The Auto Sleeper Ltd Facebook and Twitter pages as well as the Auto Sleeper website, all have extensive information. If you want to understand these Auto Sleeper motorhomes in detail, then contact your nearest Auto Sleeper dealer for a demonstration. Yes, this really does bring your Auto Sleeper motorhome campervans into your front room! Virtual Reality is an exciting way of seeing an Auto Sleeper in 3D. You can look at all the nooks and crannies in detail. Study the layouts and all of the details of these luxurious motorhomes. They certainly are motorhomes of excellence. For more information on VR just drop us a note and we will be in touch with you. If you are a motorhome dealer, then by all means get in touch with us. Make your Auto Sleeper motorhomes for sale stand out! Provide your customers with a very personal view of an Auto Sleeper motorhome with the latest technology. Looking for an excellent Auto Sleeper motorhomes campervans and van conversions? Then also consider looking at used Auto-Sleeper motorhomes. So, why not look at some outstanding new Auto-Sleepers motorhomes, campervans and van conversions on the video. 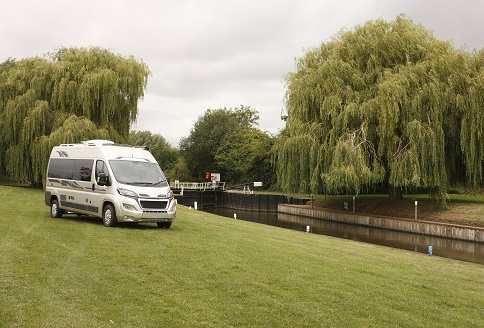 Auto Sleeper motorhomes campervans are available from leading Auto-Sleeper motorhome dealers, with extended warranties and some great offers available. You will love the high quality finishes and looking at all the Autosleeper models will provide an insight to excellence. There is no doubt that Auto Sleepers Ltd have been creating and designing motorhomes for some time. Creating motorhomes, campervans and van conversions of excellence and many award winners as well! The Auto Sleeper Factory is in the Cotswold’s in the glorious English countryside. Autosleeper Mercedes Benz Coach built has a luxury appeal. Autosleeper Peugeot Coach built proven over time. Autosleeper Peugeot Van Conversions excellent alternative. Autosleeper Corinium on an AL KO chassis making real space. Autosleeper Fiat Comfort Matic options for an Automatic transmission. The Trigano Group are a French company, with extensive interests and ownership’s of motorhome manufacturers throughout Europe. The purchased control of Auto Sleepers Ltd and the retail arm of the group Marquis Leisure in January 2017. Marquis motorhomes continues to sell new and used Autosleeper motorhome. They have 12 branches in the UK where they remain the largest seller of Trigano Group brands. With the excellence that goes with an Autosleeper Mercedes Benz chassis technology. All aligned with the Autosleeper Luxury range of motorhomes. When you see what the Mercedes has in store combined with the Auto Sleeper layouts you will be impressed. The Autosleeper relationship with building both coach built and van conversion on Peugeot chassis has been a real winner. That French flair and the extraordinary Autosleeper designs and long standing, makes these motorhomes outstanding. The option to provide an automatic gearbox has led to using the Fiat cab with comfort matic transmission. An ideal way to enhance that automatic choice for customers to have an automatic option. Introducing the Autosleeper Corinium range built on an AL KO chassis has provided real options within the Autosleeper range. Three variations of layouts make this a very flexible addition to provide that extra room. Auto-Sleeper motorhome dealers are located in the UK, Wales, Scotland and in Europe and beyond. Autosleeper have motorhome dealers overseas as well as the UK. There is an extensive range of motorhomes and van conversions in the Autosleeper motorhomes range. The video provides an insight to what Autosleeper has on offer for 2018 and no doubt soon we will have the Autosleeper 2019 motorhomes. Having been established in 1961, Autosleepers motorhomes have gained a lot of success. In designs, that have been innovative and outstanding layouts that make the story develop and unfold. The video tells that story and journey back in time. Also, you may be trying to locate a motorhome accessory for your Autosleeper or spare part. Having trouble to locate Autosleeper parts is time consuming, to say the least. Looking for an Autosleeper motorhome dealer near you? Again we have that information available, if we can help you we will! We like to help anyone if we can, if you have a question about an Autosleeper motorhomes, please ask us. You may be interested in a new motorhome or a used motorhome. We try to provide as much information as we can to assist you in your purchase. There are some very informative Autosleeper owners clubs, groups and forums out there online. All with some great contacts to help any Auto Sleeper owner to feel at home!